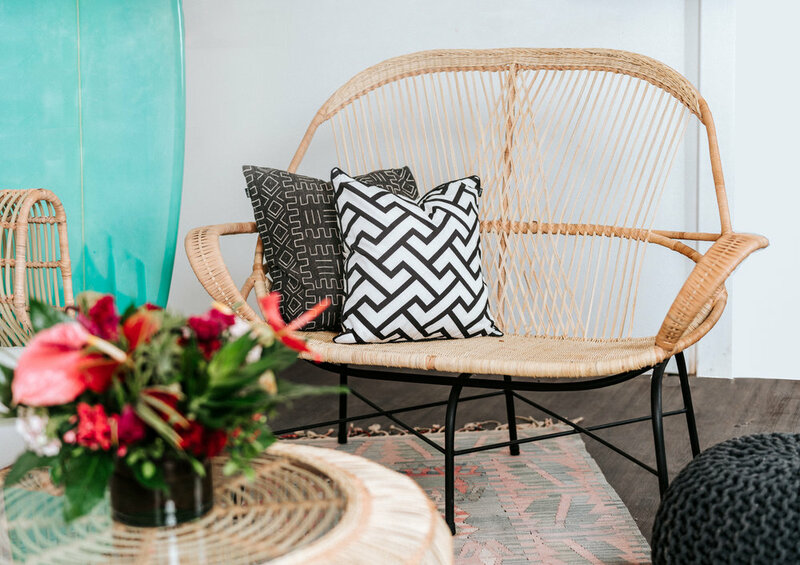 Our Vintage Jetsetter Vibe features accents and decor from all around the world all wrapped up in one beautiful vintage package. 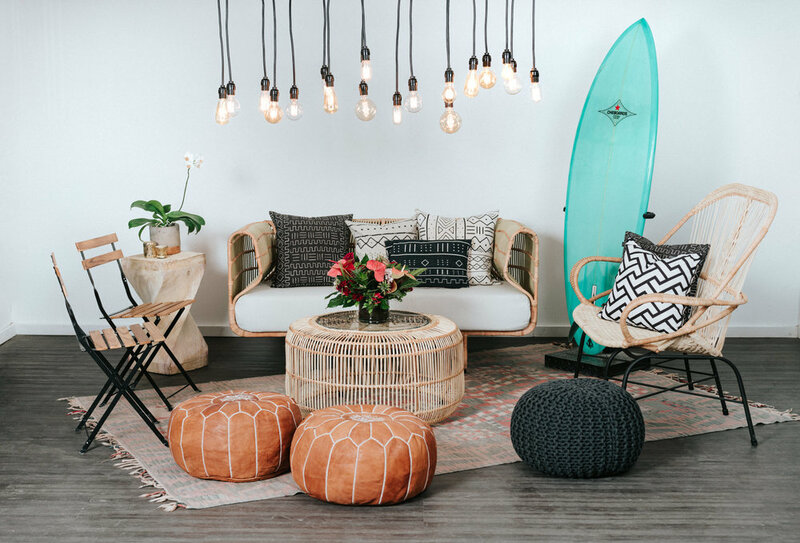 This collection fuses warm elements like our Moroccan Leather Poufs with the cool tones of our Vintage Single Fin Surfboard to create one pleasing and cohesive lounge vibe for events and weddings in Costa Rica. 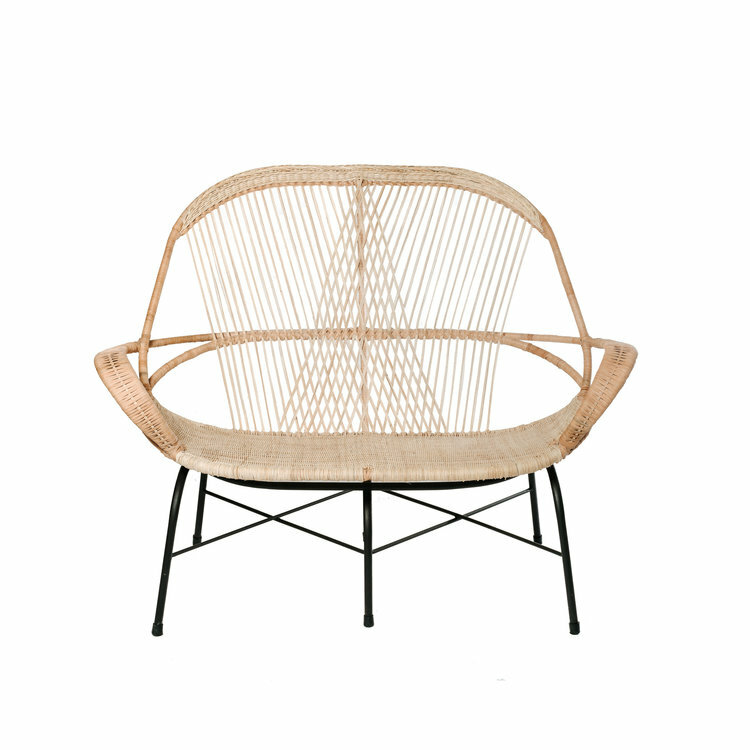 As is the case with our rental inventory as a whole, virtually every item featured in this set was carefully designed and made by hand, the old fashioned way.